The market has become increasingly competitive across all industries that getting your brand noticed can often seem to be an impossible feat for small businesses, especially if your marketing budget seems like pocket change to the more established bigger brands. Here are some quick tips and tricks to boost your brand without having to sell your soul to afford the campaign costs! Big clunky logos with text that shrinks so small it cannot be read is what it sen on most often on sites that were traditionally offline but have now entered the world of digital. Make sure your logo is clear, easy to read and comprehend and compliments your business. It's not a one size fits all, make sure the designer interprets it for different platforms and provides your various layouts to best for each scenario. Having a Brand style guide that's updated and visually-friendly across all platforms will ensure the consistency of your brand presence across all promotional mechanisms. It's the small things like knowing which shade of blue to use where or which font should be used for various headings that will give your brand a professional look and feel. If your site looks like it was built in 1992 and cannot clearly be rendered on mobile devices this good be more damaging to your brand than you think. Your website is your storefront on the internet, it's what decides whether people will stay inside your store or leave because visually it's not appealing to the eye. Remember you not there to represent your site in person and talk the talk to your customer. All they can judge your brand on your website looks. Make sure it looks professional so your brand is well represented online. Make sure your website is easy to user and process are simple and intuitive enough for every "Average Joe" to understand. I guarantee the more complex you make processors, the higher the abandonment or bounce rate of your site will be! What's the strongest aspect of your brand's personality or unique product offering? Figure it out and punt it! Make your customers know what your Brand is offering and stick to it. You can't be everything to everyone, but it can aspire to be the best at what it is! The rise of the internet and user-generated content has given rise to a new subhuman species known as the internet troll. Defied as "A person whose sole purpose in life is to seek out people to argue with on the internet over extremely trivial issues." Basically those people you avoid in real life but now has millions of platforms to make themselves heard. 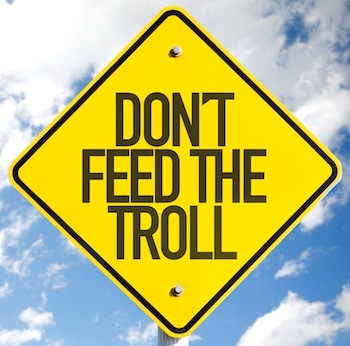 While constructive criticism is always helpful, trolls are unfortunately not a myth and may attack your brand now and then just because they don't have anything better to do. Indulging them will lead to a never-ending discourse of them attacking your brand and digging up faults that probably won't bother normal people. The best way to deal with these creatures are not to encourage them, simply put - treat them like wild animals at the zoo, don't feed them! Remember, new brands are born every day which means the market is getting more and more competitive. Turning your business into a success requires more than just a great idea. You must reach past the online clutter, engage with your customers and have a long-term brand strategy in place. If you need some advice on gearing your Brand to be more visible online, simply contact us here.